As some locals foretold when a controversial air quality rule for the Oceano Dunes passed in late 2011, you could now use a chainsaw to cut the tension between the local air district and state parks. BURN MY DUST, EAT MY RUBBER : The San Luis Obispo County Air Pollution District’s plan to fine the state on days when particulate dust exceeds standards has attracted two lawsuits—now supported by the attorney general—just as administrators appeal to the state for help. Rule 1001, implemented by the San Luis Obispo County Air Pollution Control District Board, includes penalties for the California Department of Parks and Recreation if that body doesn’t work with the district to reduce airborne dust in and around the dunes. The rule hasn’t helped the district in encouraging participation from State Parks, but it has attracted some significant opposition, including the state attorney general’s recent involvement in the situation. Now the district is turning to the governor and his head of the natural resources division for help, offering an interesting example of California politics and proving that even in a state filled to the brim with Democrats in local and statewide public office, divisions still arise and political alliances can prove advantageous. In two 2010 studies, the SLO Air Pollution Control District (APCD) found that airborne particulate matter—fine particles of dust that, when inhaled, can cause serious health problems—was a grave issue in the Nipomo Mesa, which neighbors the Oceano Dunes Vehicular Recreational area. The significant cause of the problem, according to the district’s study: the off-road vehicles that the study found break up the harder crust at the surface of the dunes and kick up the softer, finer sand below, which in turn is picked up by the wind and carried to the Mesa. Those studies have attracted their share of critics, who question the district’s methodology before it reached its conclusion attributing poor air quality to recreational vehicle use. 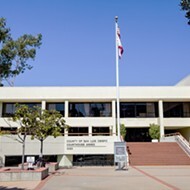 Rule 1001 was adopted by the APCD board by a 9-3 vote on Sept. 28, 2011. The board directed staffers to move forward with finalizing rules that would mandate that State Parks draft and enact a comprehensive particulate matter reduction plan, which would be subject to an ACPD sign-off. It also entails the possibility of eventually fining State Parks up to $1,000 for every day that particulate matter readings exceed the state standard for particulate emissions. The board originally gave a rough timeline of 3 1/2 years to complete these requirements, but said at the time it would be flexible with the deadline. 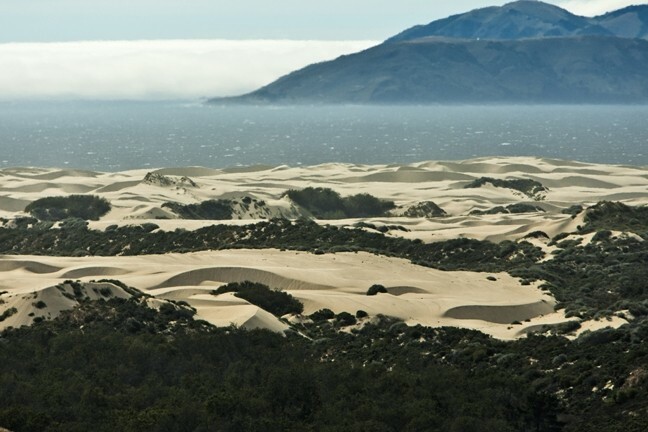 Following the rule’s passage, in January 2012, OHV advocacy group Friends of the Oceano Dunes, Inc., filed a lawsuit against the district, challenging the particulate matter study and arguing that the district exceeded its authority in attempting to fine State Parks. That’s not the only lawsuit the rule attracted. 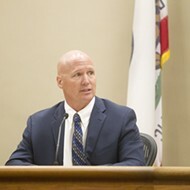 In February 2012, OHV advocate Kevin Rice followed suit, filing as an individual, claiming the district’s executive director, Larry Allen, revised the specifics of the rule prior to the meeting without proper notice to the public, in an alleged violation of the Brown Act. Rice is seeking the revocation of the air rule and demanding the district go back and notice it properly. 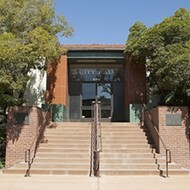 San Luis Obispo Superior Court Judge Charles Crandall later combined the two suits against the district. Things sat idle for a time, with APCD officials working slowly with State Parks staff on a joint particulate matter reduction plan. That relationship has not gone so swimmingly. Suddenly, on Oct. 11, the California Attorney General’s Office entered the fray and filed a brief in SLO Superior Court supporting the Friends of the Dunes lawsuit, arguing, again, that the air district’s study never explained how vehicles contribute to excess PM readings, and refuting the idea of a dune “crust.” The office argued that the district’s rule lacks clear standards, and that the district has no jurisdiction over the state park anyway. 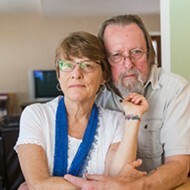 At a Nov. 14 board of directors meeting, without mentioning the attorney general’s new involvement in the matter, and in response to a letter from the acting director of Department of Parks and Recreation Janelle Beland claiming the state still had “serious concerns” about the district’s rules, APCD executive director Allen voiced his frustration to a like-minded district board. In her letter, Beland said that though the department was named as a third party in the Friends’ suit, it had no intention of filing its own suit and planned to continue “working cooperatively” with the district. Allen argued before the board that State Parks staff is insisting on their own air monitoring program that, in the district staff’s opinion, appears to be an effort to “cloud” the two district studies’ findings. Furthermore, according to the current schedule, the parks department was expected to fail to meet a Nov. 30 deadline to submit completed applications to all regulatory agencies required for the joint reduction projects. On Nov. 15, State Parks Deputy Communications Director Roy Stearns shot back with a statement about the district’s approach. On Nov. 20, OHV advocate Rice filed a cure and correct demand with the APCD, claiming that the board violated the Brown Act when it voted to send the State Parks letter. This is not the first time Rice has called the district board out on public notice issues. In January 2011, Brown Act complaints from Rice played a major role in the dissolution of two district ad hoc committees tasked with drafting the reduction plan, both of which were unpopular with residents on each side of the issue. If there’s one glimmer of hope for better relations between the two agencies, it’s that the district is now dealing with a new California Department of Parks and Recreation director, following the departure of Ruth Coleman, a former economist and lobbyist who resigned amid allegations that the department sat on nearly $54 million in surplus funds as some 70 state parks faced closure due to budget cuts. Coleman was replaced just this month by retired U.S. Marine Corps. Maj. Gen. Anthony Jackson. 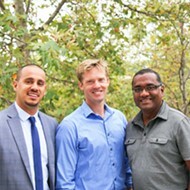 On Nov. 14, the APCD board elected to reach out to Gov. Jerry Brown’s secretary of natural resources, John Laird—whose office runs the parks and rec department—as well as Democratic State Senator-elect Bill Monning on the department’s lack of cooperation.